Japan’s Emperor Akihito is set to abdicate on April 30, paving the way for a new era. From April 27 until May 6 this year, the Japanese are going to enjoy their longest Golden Week holiday – 10 days instead of the usual seven. This is because Emperor Akihito, the 125th emperor of Japan, will abdicate on April 30 to make way for his son Naruhito’s accension. This will mark the start of a new era for the country. It also means that whoever is visiting Japan during this time will witness a most historic event with plenty of celebrations. However, visitors will also probably have to pay even more for their holiday as this peak period will be now be considered “super, super peak”! Emperor Akihito’s decision to abdicate in his 28th year on the throne is unprecedented in Japan’s 2,600 years of history. According to folklore, the first Emperor Jimmu founded Japan in 660BC and he was the descendant of the sun-goddess Amaterasu. But The Chronicles of Japan (Nihon Shoki), which is the second oldest record of classic Japanese history, states Emperor Sujin, the 10th emperor, as the earliest. The previous nine are seldom perceived as more mythical than historical. The monarchy has gone through many ups and downs. Three emperors were overthrown and during the Heian period (794 to 1185), the military gained much power over the royal court. By 1603, the Tokugawa shogunate had taken over and ruled Japan under the Edo period until 1868. The throne almost became irrelevant with the 70th to the 121st emperors being mere puppets with symbolic authority. It was during the Meiji Restoration that the monarchy regained its powers and god-like status when Emperor Meiji enacted the Constitution of the Empire of Japan (Dai-Nippon Teikoku Kenpo) in 1889 which lasted until the end of World War II. All that changed again when on Sept 2, 1945, Japan surrendered to the Allied Forces. On the morning of Sept 27, Emperor Hirohito (the father of Akihito) paid a visit to the US Embassy in Tokyo and held a 35-minute discussion with Douglas MacArthur, the US five-star general and the supreme commander for the Allied Powers in Japan. Hirohito was 44 years old then and had been emperor for 20 years. His throne and the entire imperial system of government were on the line. After all, Japan’s war of aggression was done in his name and there was intense debate as to whether he should be held responsible for war crimes. But the tide turned in his favour after that historic meeting. MacArthur insisted Hirohito remain as emperor and maintain the imperial system. He had been persuaded to see the emperor as the symbol of the state that united the Japanese people. By keeping and protecting the emperor, MacArthur realised it would make it easier for the Japanese to accept the occupation of their country by the Allied Powers. But it was not entirely status quo. Hirohito had to renounce the claim that the emperor was an arahitogami or divinity in human form. He had to issue a “Declaration of Humanity” and proclaim himself as human and not a god. Under the new Constitution shaped by the US, the emperor was no longer an imperial sovereign but a constitutional monarch with no powers in government matters. The amended Constitution, however, did not allow abdication and excluded females from the succession as well as descendants from other branches of the Imperial Family lineage. When Akihito made known his intention to abdicate, the National Diet (Japan’s bicameral legislature) had to pass a bill to allow him to do so. As for the issue of succession, when it became clear that Prince Naruhito would have only one child – a daughter – there was much anxiety over the future of the crown. Naruhito’s brother, Akishino, also had two daughters. The lack of direct male princes led to the government’s consideration to make changes to allow women to succeed to the throne. That died down, however, when Akishino’s wife gave birth to a son, Hisahito, in 2006. Hisahito will be second in line to the Chrysanthe-mum throne when his uncle becomes emperor. That takes place on May 1 and will usher in the Reiwa Era, as Naruhito’s reign will be known. Reiwa comprises two kanji characters – rei and wa – which the Japanese government says means “beautiful harmony”. To me, this name is interesting because it moves the Japanese nation beyond “achieving peace”, which is the meaning of Heisen, the name of Akihito’s era. I see it as showing Japan as a nation that has embraced and pursued pacifism, which is written into their 1947 Constitution. And it has achieved peace in the 74 years since the war. 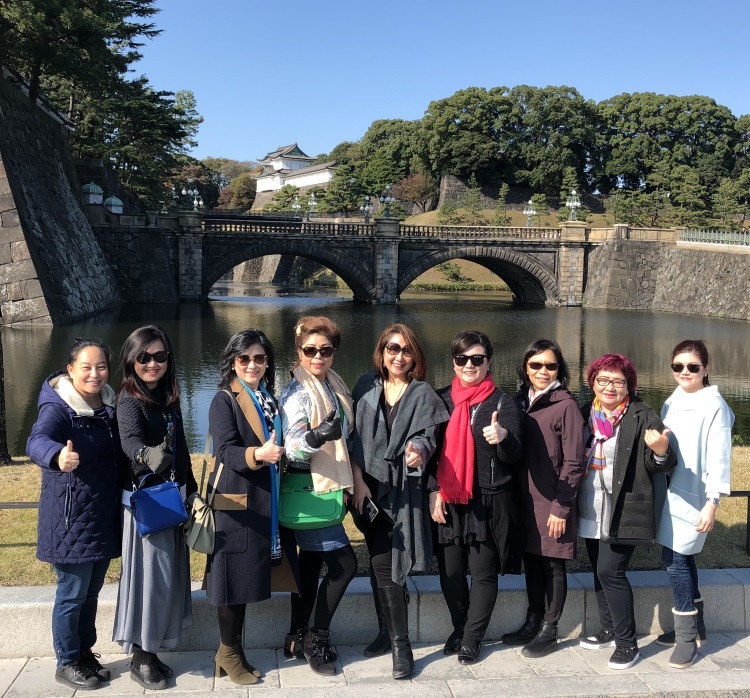 As a long-time and frequent visitor to Japan, I have come to admire and appreciate the beautiful harmony of the nation, especially its built and natural environment and its pursuit of technology and modernity while preserving culture and traditions. That is what all tourists love about Japan and a good part of that rich heritage, like its elegant traditional architecture and gorgeous landscapes and gardens, has imperial roots. The Meiji Shrine in Tokyo’s Shibuya district is dedicated to Emperor Meiji and his consort Empress Shoken. Every New Year, nearly three-and-a-half million people visit the place for hatsumode or the first prayers. It is also a popular spot for traditional Shinto weddings, which is a delight for tourists to watch. Shintoism and Buddhism are a crucial part of the Japanese culture and both involve the Imperial House. There are thousands of Buddhist temples and Shinto shrines in Japan, of which many are popular tourist spots. Ise Jingu in Ise city, Mie Prefecture, is Shinto’s most sacred shrine. The Japanese adore it and consider it the “Soul of Japan” as it is dedicated to the sun goddess Amaterasu. Remember her? 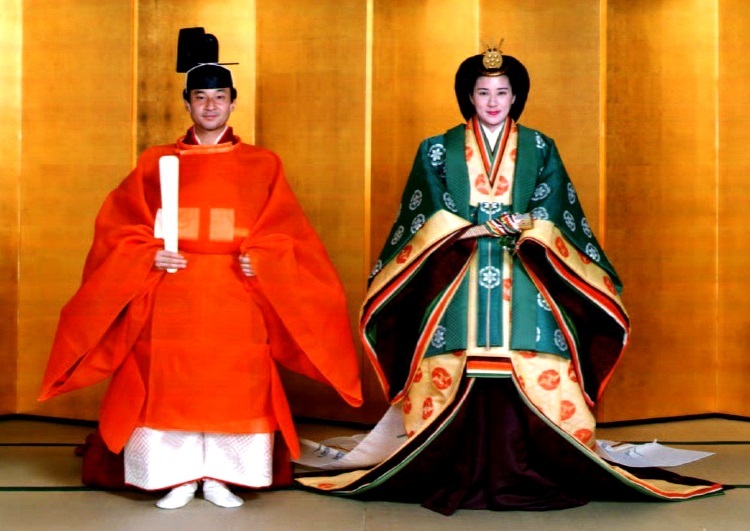 The royal connection lasts to this day because the chief priestess must come from the imperial house, the current one being Akihito’s daughter, Sayako Kuroda. For temples, there is the great Todaiji Temple in Nara City which was built by Emperor Shomu (701 to 756) and is one of Japan’s most visited tourist attractions. Another tourist hotspot is Koyasan (or Mount Koya) temple complex in Wakayama Prefecture, founded in the 8th century, which has stunning pagodas and gates, especially the 20 structures at Danjo Garan. Other buildings and gardens associated with the imperial family on the tourist map are the Tokyo imperial palace and its outer gardens as well as the Katsura Imperial Villa and Shugakuin Imperial Villa in Kyoto. On May 1, I will join the Japanese people in wishing Naruhito, “tennoheika banzai” or long live his majesty the emperor! Leesan, the founder of Apple Vacations, has travelled to 121 countries, six continents and enjoys sharing his travel stories and insights. He has also authored two books. 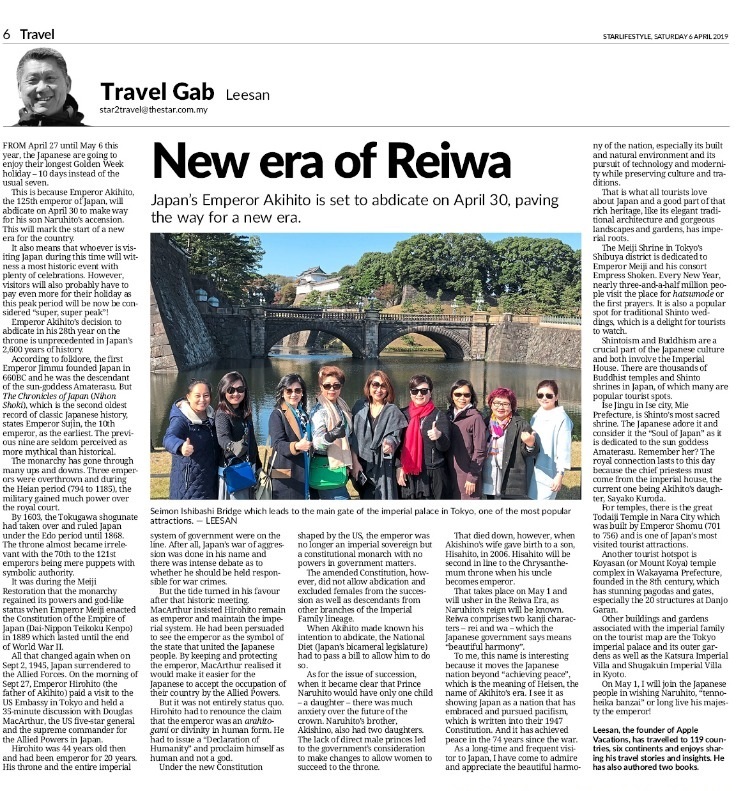 The post Reiwa: A new emperor and a new era in Japan — by Leesan appeared first on Apple 101°.